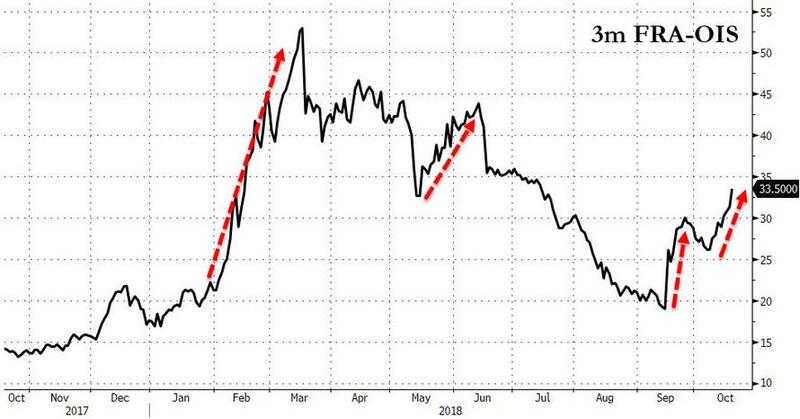 As Bloomberg's Sunil Keser notes, while compared to the Libor-OIS blowout observed in Q1, the recent move looks tame, it serves to underscore how sharp the dollar repatriation was in the first few months of 2018. 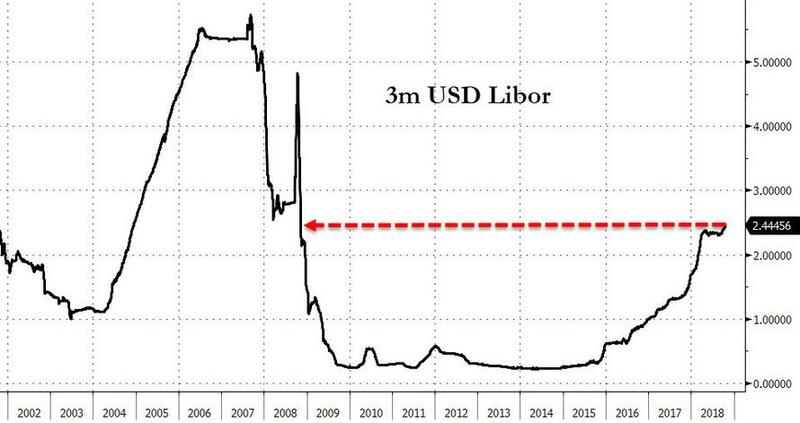 Meanwhile, "the widening since mid-September is enough on its own to warrant flagging, given the outright level of the current Libor fixing." As to whether it can go further depends on where the Fed judges the neutral rate to be, and how far above it they are willing to go. 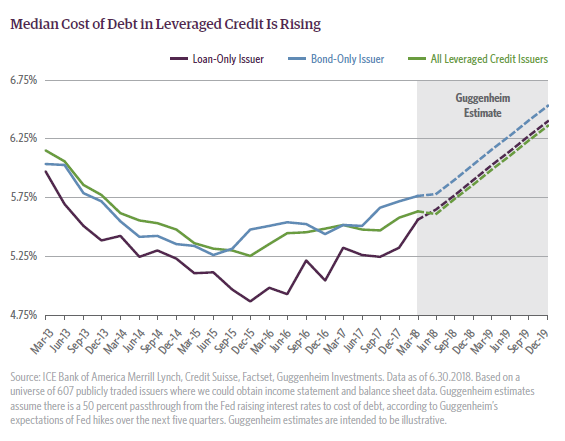 The creeping rise in the cost of debt for corporations and ordinary consumers, most broadly manifested by Libor, was recently flagged by Guggenheim as one of the key risks for the credit market, noting that for the broader leveraged credit market the cost of debt troughed at 5.3% in 2015 and was recently 5.6%, prompting a warning that "this trend is somewhat overlooked by investors who focus on narrowing spreads over Treasurys or LIbor, historically low portfolio yields and exception earnings growth." 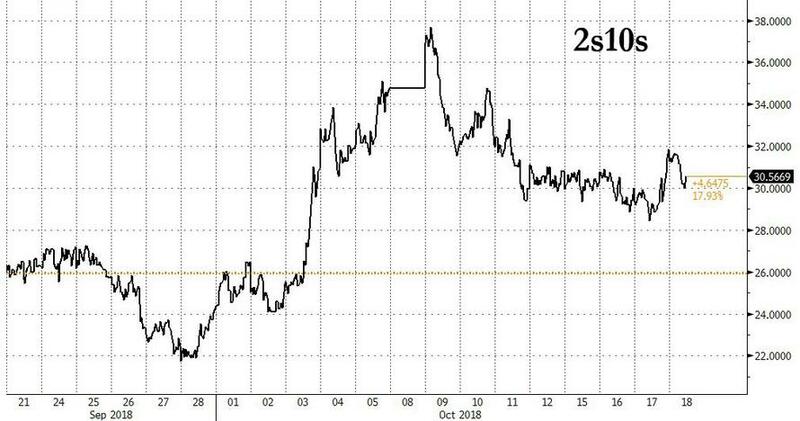 Meanwhile, the move wider in Libor has also affected the short-end, with the 2Y yield hitting fresh cycle of 2.907% after paring losses that were led by front end of the curve, eroding some of the bear steepening that followed release of FOMC minutes Wednesday. 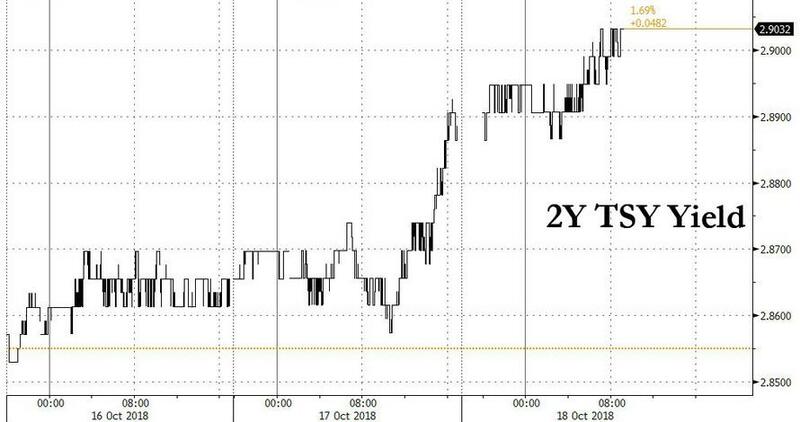 ... an ominous turn as it leaves less space for the Fed to hike rates while as the bond market - where real rates recently jumped on hopes of stronger growth - is no longer convinced that the move wider in longer rates is a function of the improving economy.